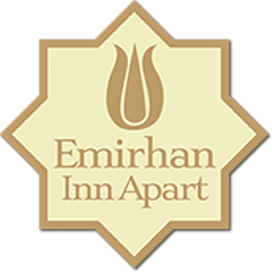 Emirhan offers rooms and apartments located on a picturesque cobbled street in Istanbul’s historic Sultanahmet. It features free Wi-Fi access and scenic views of minarets, mosques and the Sea of Marmara. Opening out on private balconies, rooms at Emirhan Inn Apartment are decorated with hardwood floors and traditional Turkish carpets. Some rooms include a complete kitchen and a spacious lounge equipped with cable TV channels. Guests can prepare their own meals and enjoy complimentary tea and coffee. Distances from important pointsAtaturk Airport: 15 km. Sabiha Gokcen Airport: 55 km. Hagia Sophia Museum: 500 m.
Blue Mosque Museum: 500 m.
Few minutes walking distance to the Topkapı Palace, Hagia Sophia Museum, Sultanahmet Mosque. Laundry service available on-site! 1 to 7 kilo 10 Euro.